Many times I have thought it would be nice to have 2 metres on the KX2, I do miss it from the FT817 days. 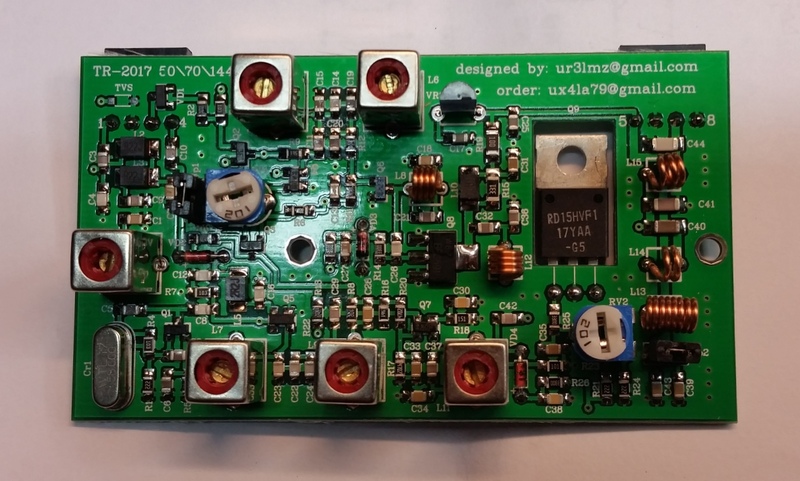 This bare board transverter was on Ebay from a Ukraine seller, the feedback was very good and it looked quite compact so for about $35, I ordered one. It took about 4 weeks to arrive, but it was over the Christmas break, so probably not too bad. It measures about 80 x 45 mm, a very suitable size for portable operation. The power output is stated as 10 to 15 Watts, so not too shabby. A metal case was then bent up using my home brew metal bender. was grafted between the PCB and the transceiver side BNC socket. I was satisfied that the leads were short enough not to cause a problem. A 10dB attenuator is fitted to a stand off post to make it level with the relay. The T configuration attenuator is made from paralleled 0805 SMD resistors so that the power rating is 1 watt. 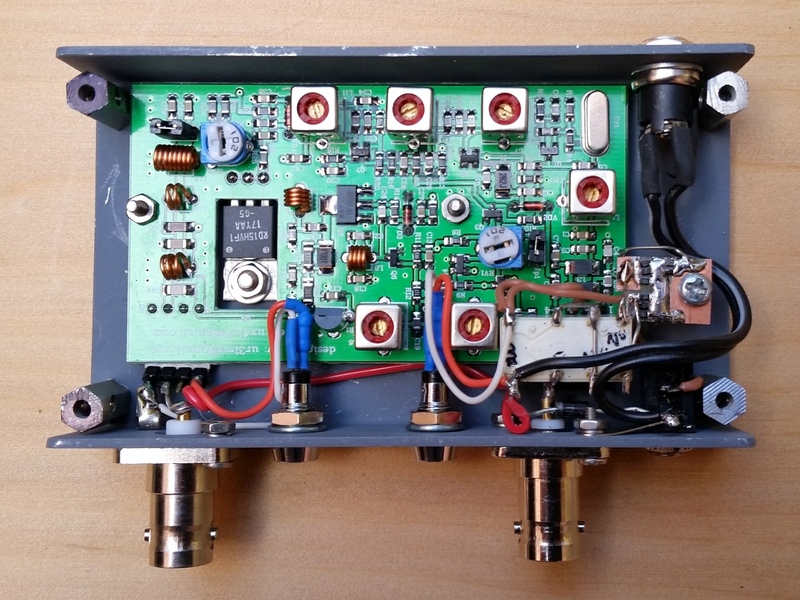 The KX2 will be set up for about 500mW out so that the maximum drive level of the transverter is easily met. The KX2 has some nice configuration options to suit transverters. Parameters such transverter number (you can have several), power output, frequency offset etc. are easily configurable. In fact, the default configuration was fine. When powered up, the transverter worked straight off. Power out was around 10 watts, more should be possible, but will wait until the linearity can be monitored. Sensitivity seems ample as well. This entry was posted in Projects, radio communications, SOTA. Bookmark the permalink. Can you tell the KX2 that it is driving a transverter and get it to show the transverted receive frequency on its display? That’s neat. 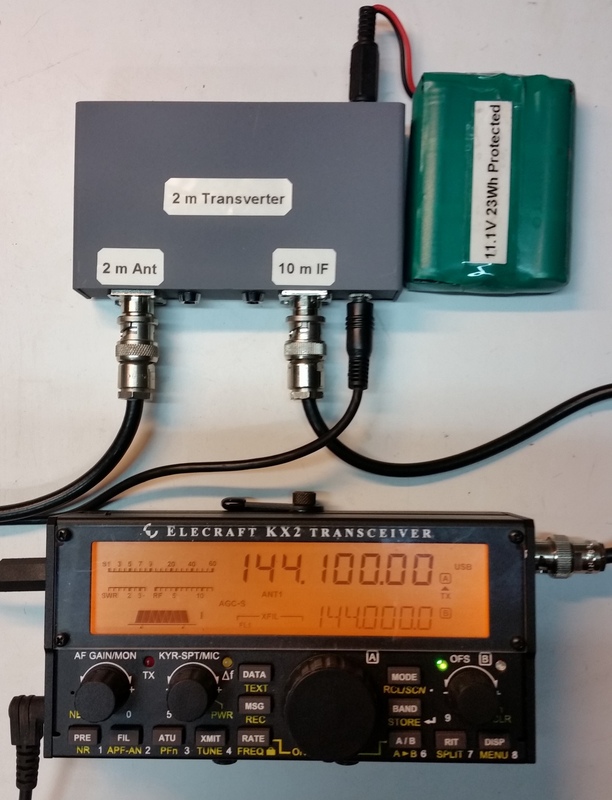 Yes, you can have several transverter configurations in the KX2. When you enable transverter mode, a new band pops up in the band selection. Configuration for that transverter mode sets the power output.